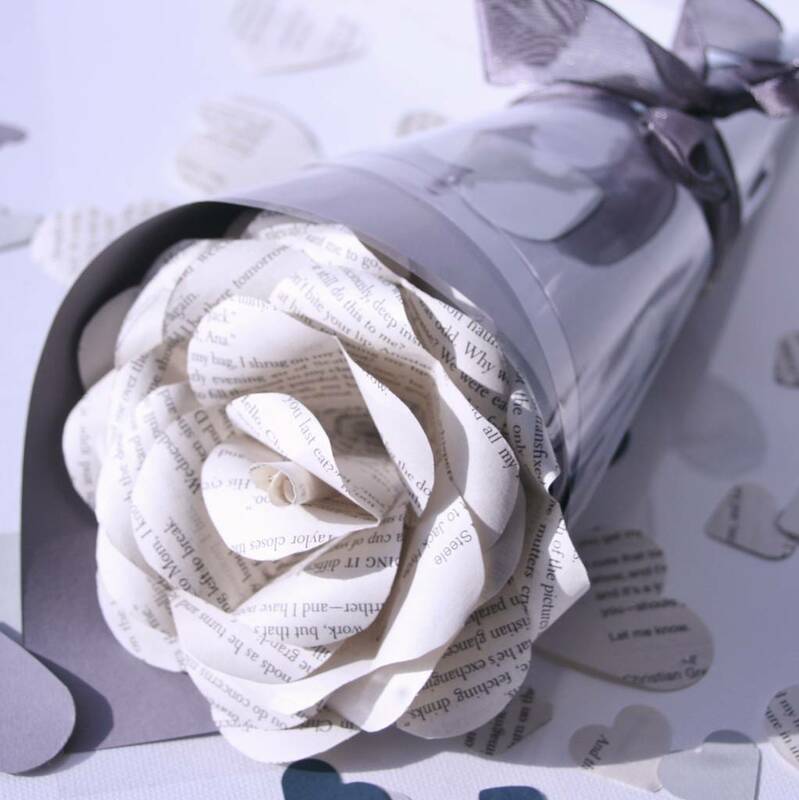 Say it with a stunning Literary Paper 1st Anniversary Rose ...a perfect card alternative, gift and keepsake for the book lover in your life!! 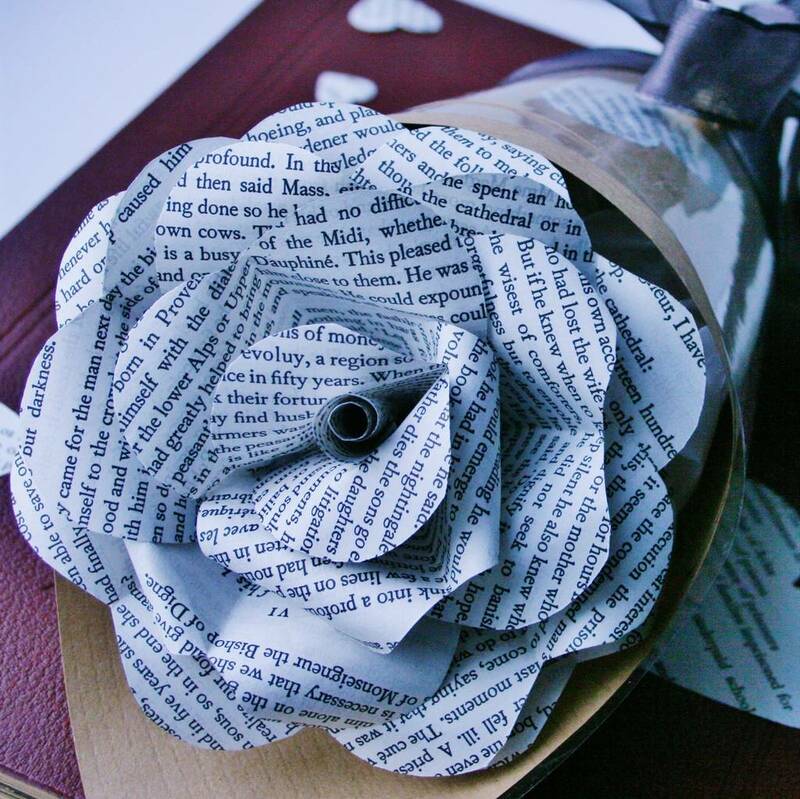 These beautiful literary paper celebration roses make the perfect addition to style any room. 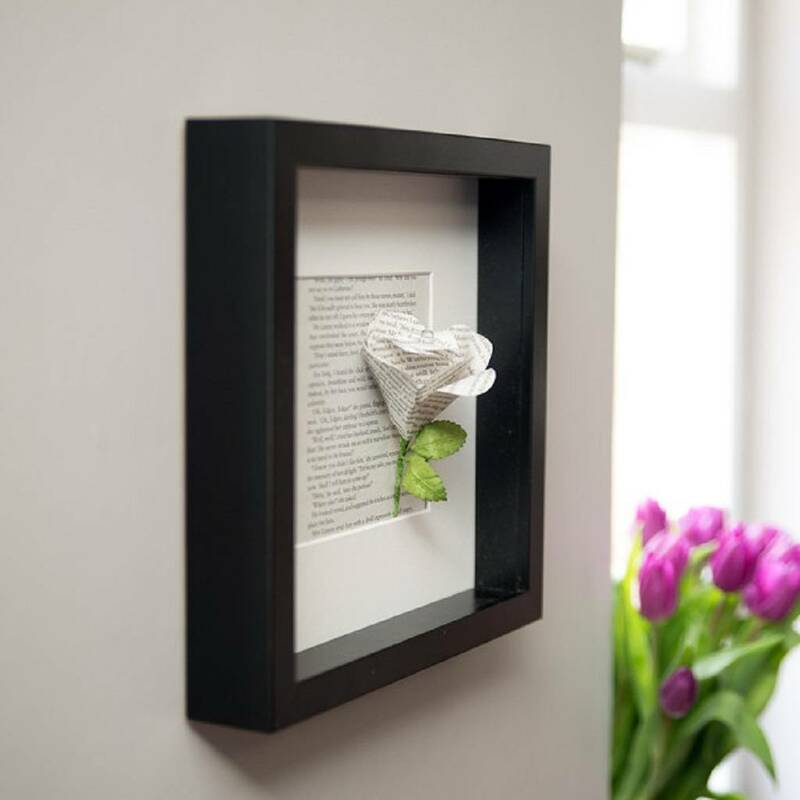 Each literary book page rose also makes an original gesture - but unlike a card can be used as a decorative keepsake and token for many years to come! 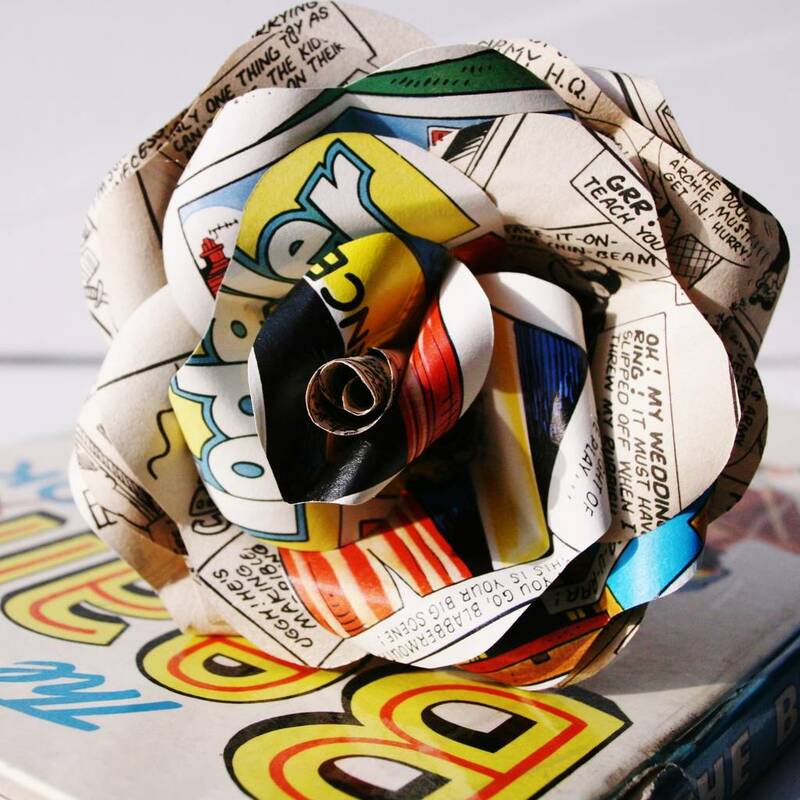 Each rose is made from old upcycled books. 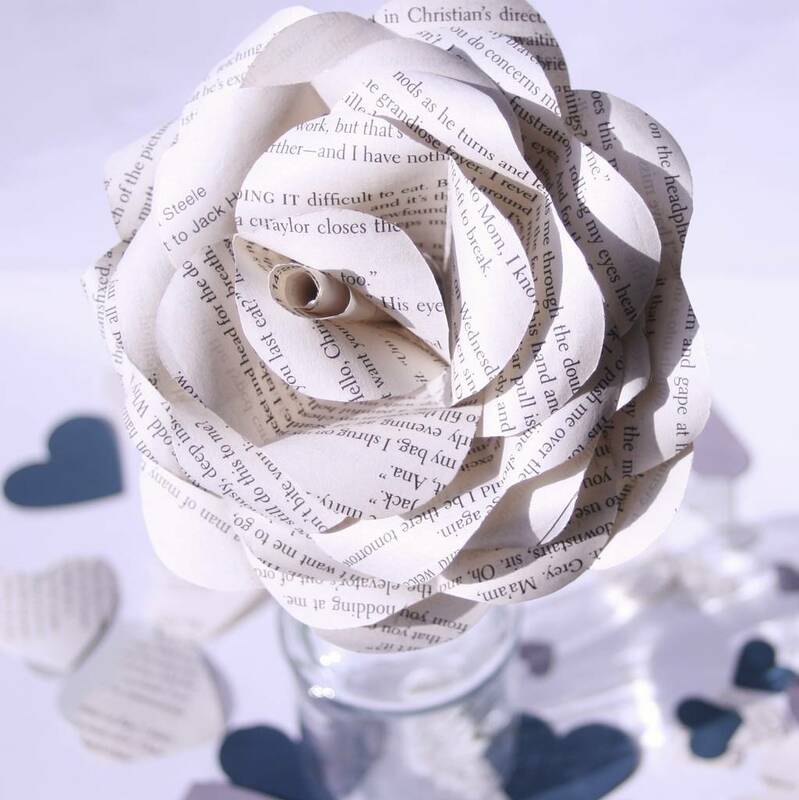 Simply choose from a literary rose or choose one of your favourite classics from the menu.If there is a special book, mao, song or poem you would like made in to a rose, please contact us for more details or see our listing "Choose Your book" literary Paper Rose. 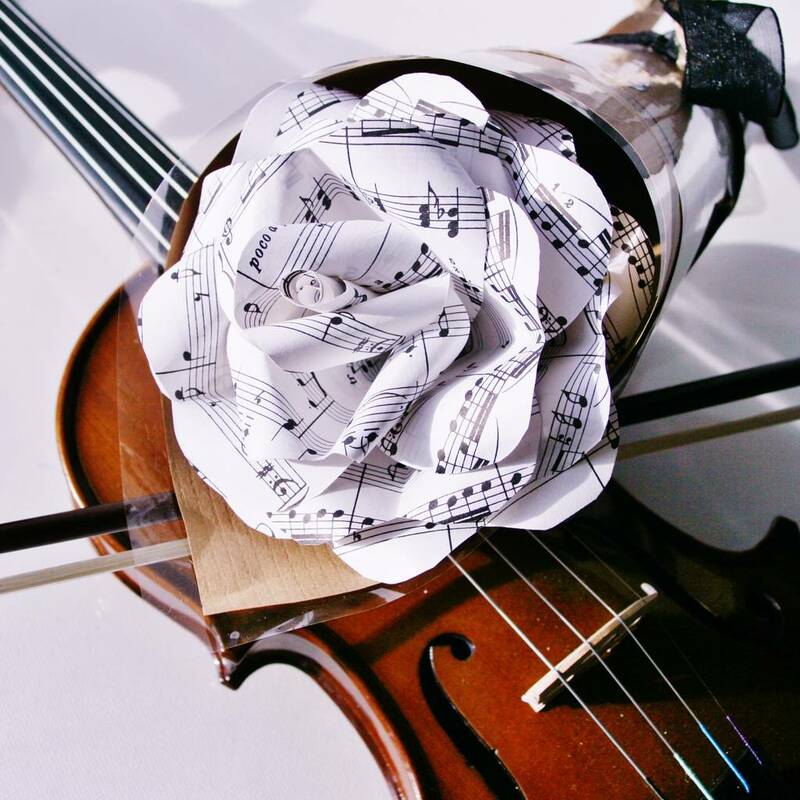 Alternatively choose are 'Personalised Rose' from the 'Book Choice' option if you would like the lyrics from your frist song, Wedding vows or just a special message included on your rose. Why not personalise your rose further, with one of our gift tag options. 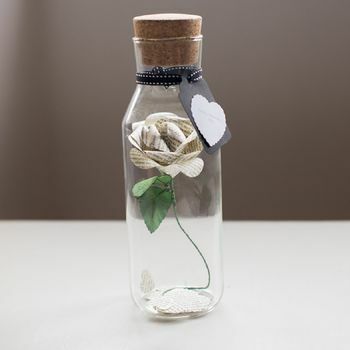 Choose from a "message in a bottle," or a craft gift tag.Simply choose the option "Click here to purchase a Gift token. " 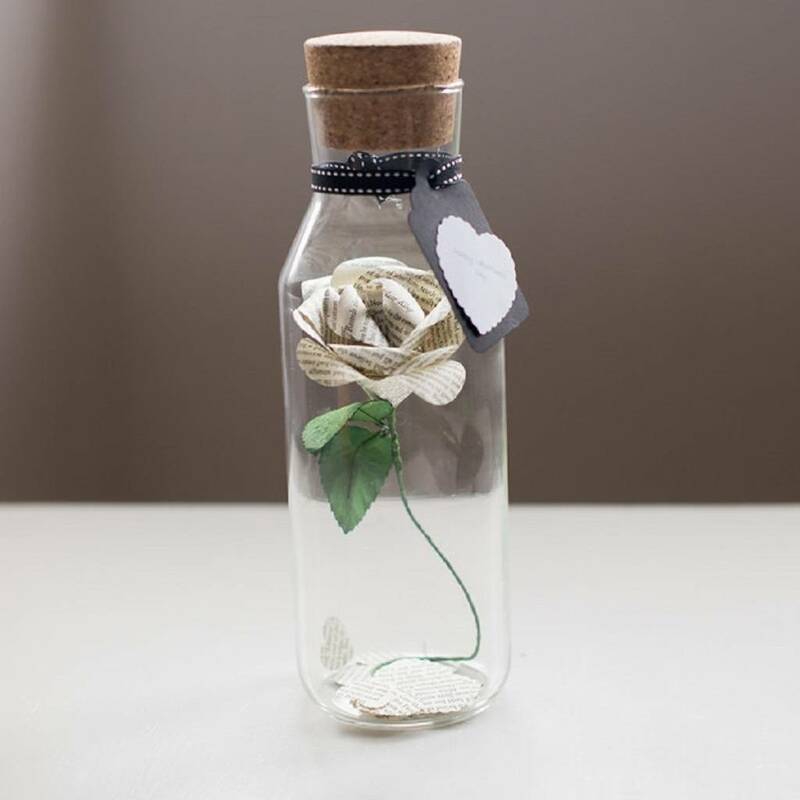 For a really eye catching gift or keepsake, why not choose to show off your literary roses in one of our glass jars or picture frames. A Simply beautiful way to show off your rose for many years to come! Simply choose the option "Glass Jar" or "Picture Frame." There are now two size 'Glass Jars' to choose from 20cm x 7cm and 28cm x 9cm. 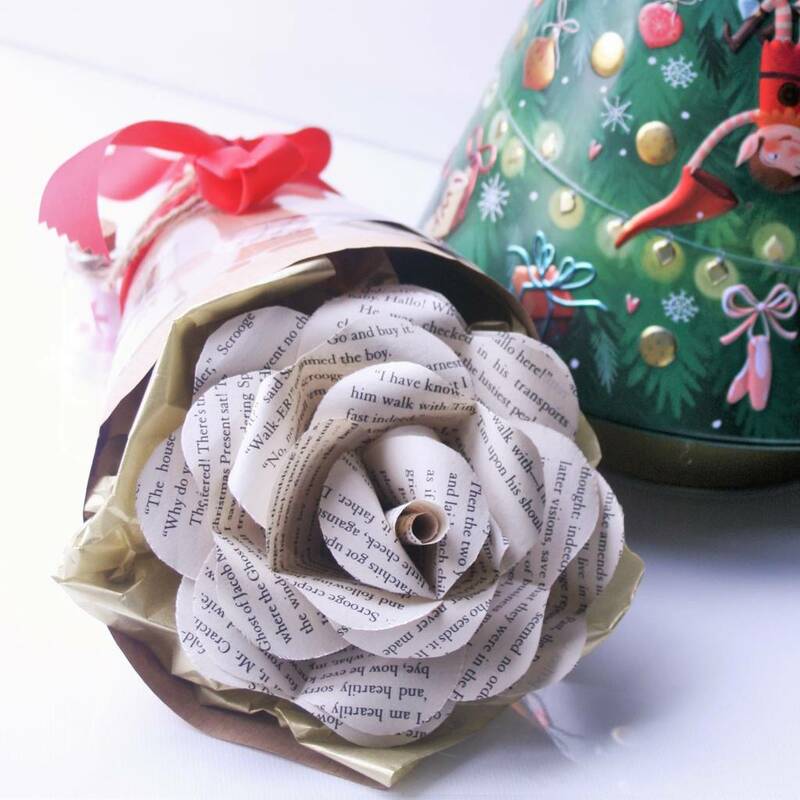 Each rose is stylishly wrapped into a cone, and finished with the confetti of your book choice, along with a ribbon which we will add your gift message to. 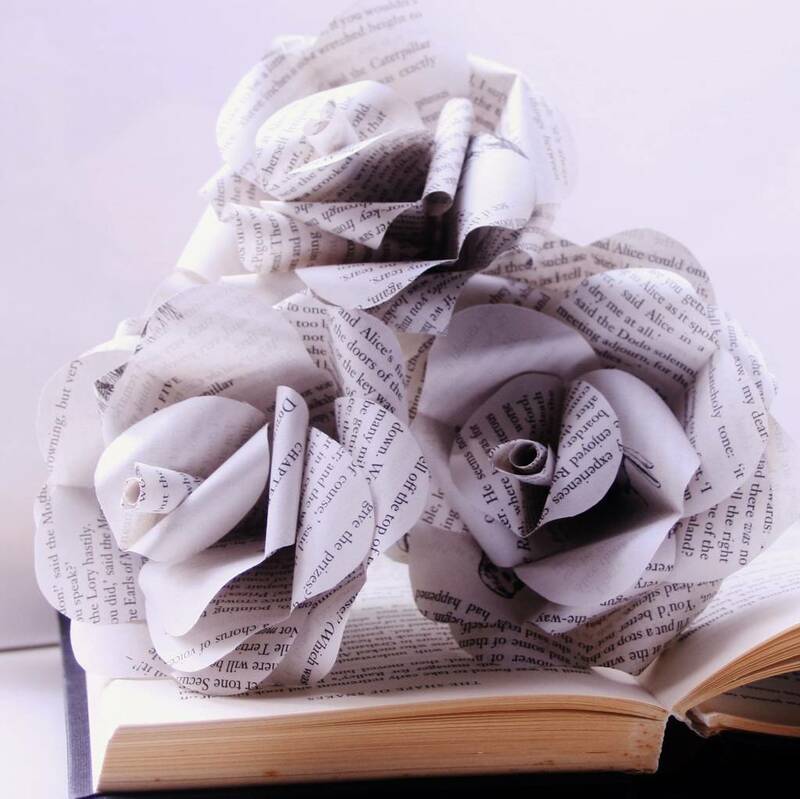 Literary Paper rose made from old books, wire. This product is dispatched to you by Cot2tot & Beyond.